For 79 years, Life-Study Fellowship, publisher of FAITH Magazine, inspiring Fellowship Prayers, and the best selling book “With God All Things Are Possible“ (more than one million copies sold), has helped people all around the world find greater success, happiness, and peace of mind. So many wonderful letters have been sent to us over the years from thankful and appreciative people whose lives have been changed for the better. That appreciation encourages us to keep on with our work of inspirational publishing… to promote greater personal good fortune and happiness… to help make this a more harmonious and peaceful world. The work of Life-Study Fellowship is supported by the generous voluntary contributions of all those who receive and benefit from our inspirational publications. There are no membership dues or fees. Life-Study Fellowship Foundation, Inc. is a recognized 501(c)(3) charitable organization and contributions are tax-deductible as provided by law. If you are experiencing personal problems of any kind or would like to benefit from the ongoing everyday support and guidance that Life-Study Fellowship provides, we encourage you to CLICK HERE to visit our Prayer Help Page. We will send you a very helpful “Introduction To Life-Study” Package. All communications with Life-Study Fellowship are held in the strictest confidence. 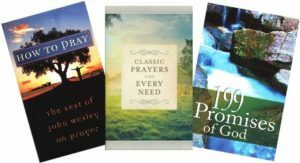 Special Books: In appreciation of a gift contribution of $10 or more, you can receive a special Fellowship Book. CLICK HERE TO ORDER. 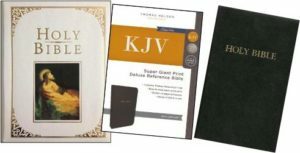 Fellowship Bibles: Fellowship offers different Bibles. CLICK HERE TO ORDER. Life-Study Fellowship is pleased to announce that we’ve improved the safety and security for making contributions on our website. CLICK HERE to check it out. 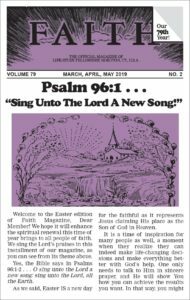 We have added a Faith Magazine Archive page. CLICK HERE to view and download past editions of Faith Magazine. Check out the left Post side menu. We have added a Prayer Download for Children and Fellowship’s 2019 Calendar. When contacting us please CLICK HERE to use the convenient Contact Form. Are you receiving our Emails? CLICK HERE to sign up. It warms my heart to see a group step out in the way you have. Your material is easily understood and conveys a powerful message. I respect your organization and all it stands for, and with God’s help, it will prosper. Know that you have touched at least one. I must confess when I received your “Personal Analysis” form, I said to myself, “Oh God, more people needing money”. I kept the form for almost a month before I said to myself, “Why not?” When I received my “good fortune prayers” so quickly I was stunned to be truthful. I felt someone really read my form… I got a warm feeling as I read through all the material. It let me see I am now a part of something great and powerful. It made me feel I can write and tell of my joys as well as my problems. Jesus said “With God All things Are Possible”. I believe and have faith in God. Thank you for writing me. I have had mixed up feelings for a long time and I need to know how to pray.